OHA+M (Ontario Heritage Act and more): Ontario Place — a special place... and case! First, before heading on down to the Lake Ontario waterfront, some context. My two previous posts tell the story of how Ontario ended up with a different protection regime for cultural heritage property in the hands of the Crown. Provincial standards and guidelines, developed and made mandatory under Part III.1 of the Ontario Heritage Act, now apply to all provincial ministries, as well as to other “public bodies” prescribed in regulation. To keep things clear, the designation regime under Parts IV and V of the Act does not apply to these public owners. A big policy question was what public bodies should be “caught” by the new approach. “Public bodies” is not defined in the legislation and in theory could cover a huge swath of public owners, taking in what is often called the MUSH sector — municipalities, universities, school boards, hospitals, etc. But a major consideration was that, if public sector properties were brought into the net, it would have the result of excluding them from municipal designation. In the extreme case this would leave municipalities with only private property to designate! And what would be the status of town halls, libraries, schools and so on already designated? So no surprise that it was decided this was just way too far to go. Rather, since the primary policy intention of the new regime was for the province to “lead by example”, the list of public bodies would be narrowly focussed on Crown agencies and corporations. And, again to minimize the impact on designation approaches, the list would not catch agencies with a single site, but only agencies with property in different municipalities, so as to ensure a consistent standard of care across their property portfolio. The St. Lawrence Parks Commission? Caught. The Royal Ontario Museum? Not. 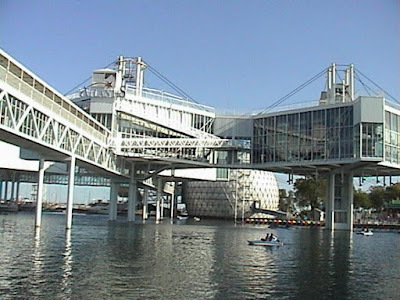 And now we come to Ontario Place, the iconic Toronto landmark owned by the Ontario Place Corporation (OPC), an agency of the Ministry of Tourism, Culture and Sport. One site, so not caught, right? As most will know, Ontario Place, opened in 1971, is in the middle of a major renewal. While a single property, the site is a large and complex one — a waterfront urban park — with a wealth of resources, cultural and natural. Cultural heritage values clearly need to be identified and protected as an integral part of revitalization plans. Bringing Ontario Place within the ambit of Part III.1 of the OHA, and the standards and guidelines regime it provides, seems a smart way to go. Ontario Place, a cultural heritage landscape, remains a rare and intact Modernist expression of integrated architecture, engineering and landscape that honours and incorporates the natural setting of Lake Ontario. It was a remarkable and ambitious achievement of late twentieth century architecture, and holds an enduring influence in Toronto, the province and internationally. In July 2014 Michael Coteau, Minister of Tourism, Culture and Sport, announced the SCHV as part of the province's long-term vision for revitalization of Ontario Place. The SCVI has already proved useful in assessing heritage impacts as part of the environmental assessment of the Ontario Place Urban Park and Trail, a first step in revitalization. It was also handy in obtaining Minister's consent for the removal of a non-heritage building on the site — the provincial standards and guidelines require the consent of the Minister of Tourism, Culture and Sport for the demolition of structures on heritage properties determined to be of provincial significance. The SCVI will also be invaluable in preparing a long-term conservation plan for the site, as also required, and in continuing to help inform and guide the revitalization and re-imagining of Ontario Place. Next time: What about municipally-owned heritage property?